Stuffed Eggplant with Shrimp Recipe is a great dish for entertaining as it looks like it took a whole lot of effort, but in reality is an easy recipe that will create a great impression on your guest. This recipe is cooked with Vindaloo paste. 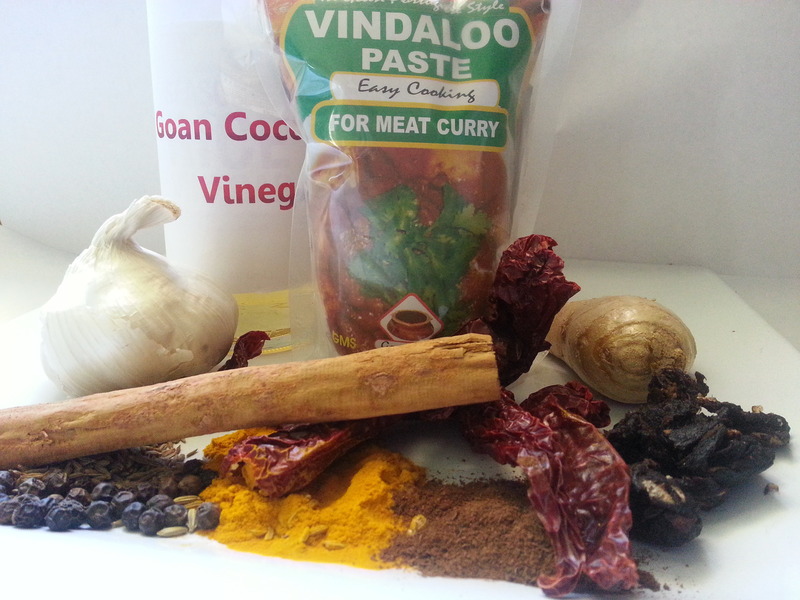 I wanted to try the vindaloo paste in a different way then the norm. 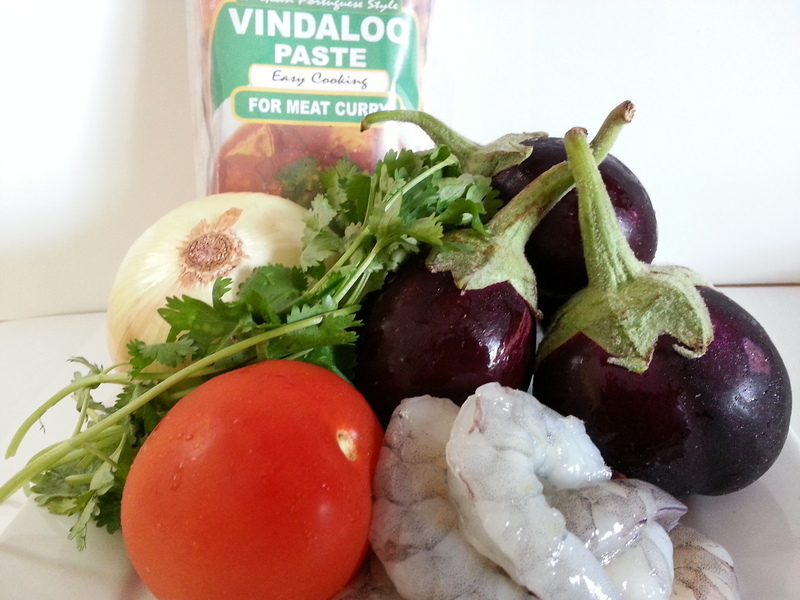 In Goa we make an eggplant pickle which is sweet, tangy and spicy with shrimp and it is so good that its finger licking and so I thought the vindaloo paste would work for this recipe. 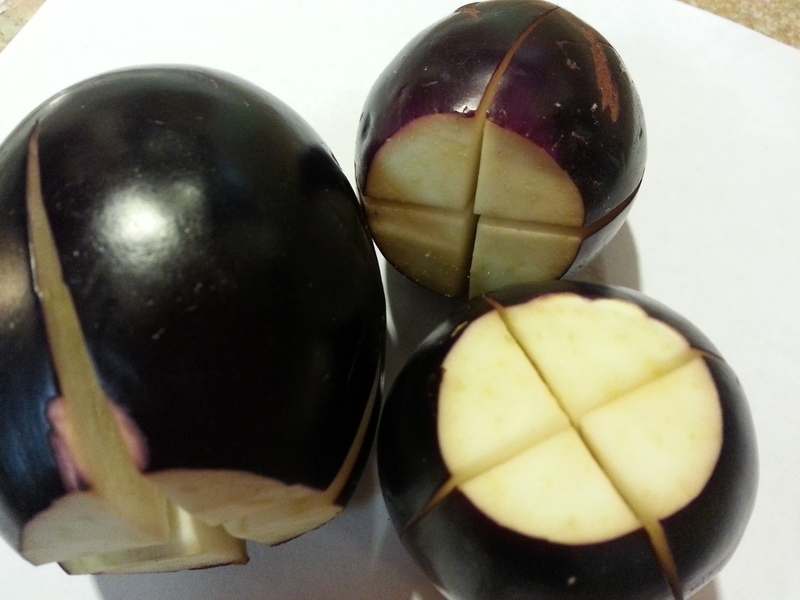 Ingredients for stuffed eggplant and shrimp recipe. Chop the shrimps into small pieces apply a little salt and keep aside. Heat up oil and add the chopped onions. saute for 2 to 3 minutes till light brown, then add the vindaloo paste and sugar and saute for another 1-2 minutes. Add the shrimps and salt to taste. Saute for 5 minutes and then take off the heat. Add chopped cilantro stir and let it cool a bit. Serve it on a bed of cooked couscous great Mediterranean combination with eggplant, quinoa or plain white rice and garnish with fresh cilantro. 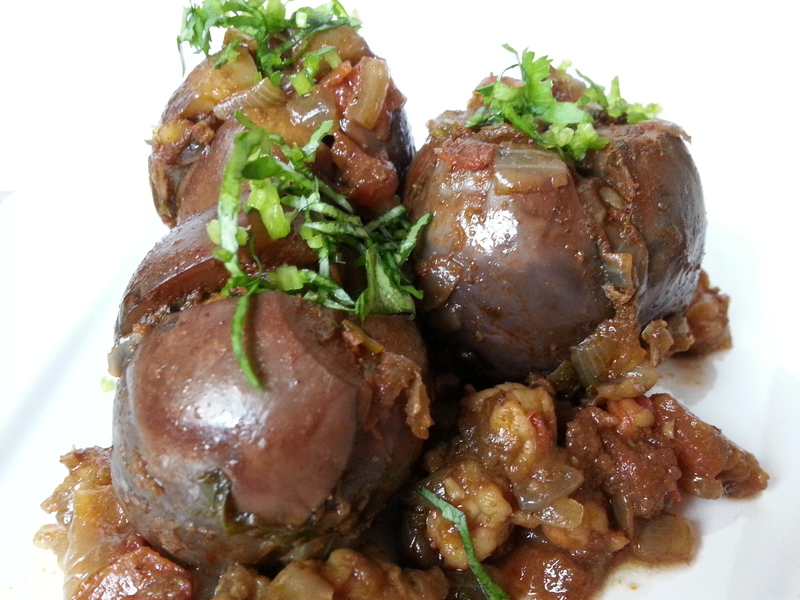 This stuffed eggplant and shrimps recipe will surely make your meal special. Enjoy!! Stuffed Eggplant and Shrimps Recipe.